I am still working on my Sunday reflection sheet that is handed out at Mass, and posted on my blog, but Deacon Greg has just posted his homily. “Every now and then, you’ll find a film critic who bemoans the state of Hollywood movies by pointing out that there are too many sequels. Last year, a writer noted that in 2010 there were 86 sequels in various stages of development. Just this year, we have “Scream 4″ about to open, along with “Underworld 4,” “Mission Impossible 4,” “Cars 2,” “The Hangover 2,” “Transformers 3,” and the final part of the Harry Potter Series. What happened to Lazarus after he was brought back from the dead? How much longer did he live? What did people say to him? What did he say to them? Was he haunted by his memories of his former life? Did he remember what happened when he was dead? How did all of that change him? More importantly: what would any of us do if given a second chance at life? Well, there is no Lazarus 2. But I think if you really want to know what happened next, the best answer is closer than we may think. 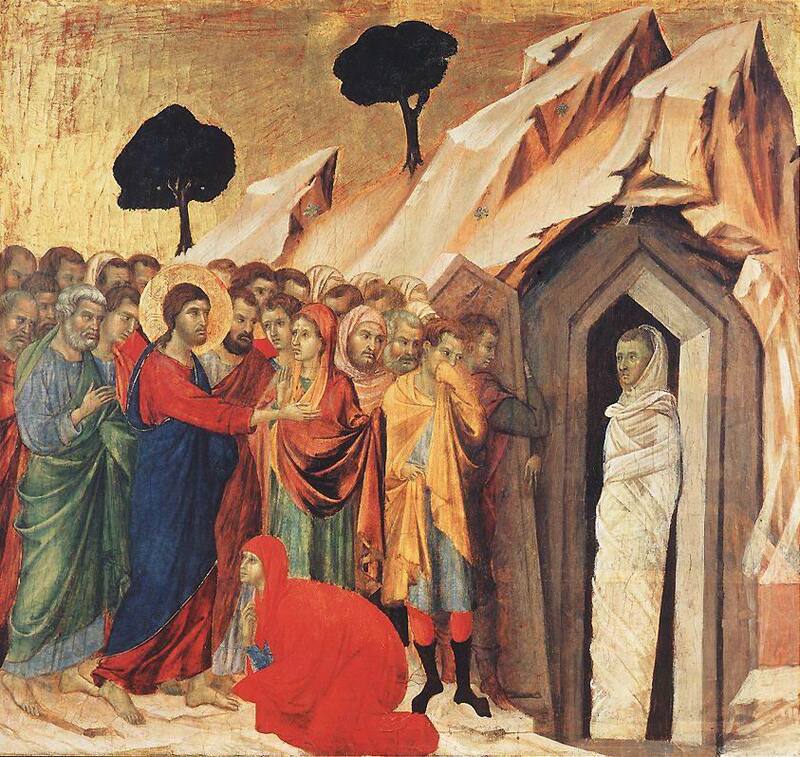 Because Lazarus … is all of us. That, in fact, is the point of the gospels we have been hearing the last three Sundays – three extraordinary events from the gospel of John. Three people who had an encounter with Christ. Three people whose lives were changed forever because of it. ” Continue Reading here. This entry was posted in Homily and tagged 5th Sunday in Lent, Catholic homily, Deacon Greg. Bookmark the permalink.